Pelican progear. 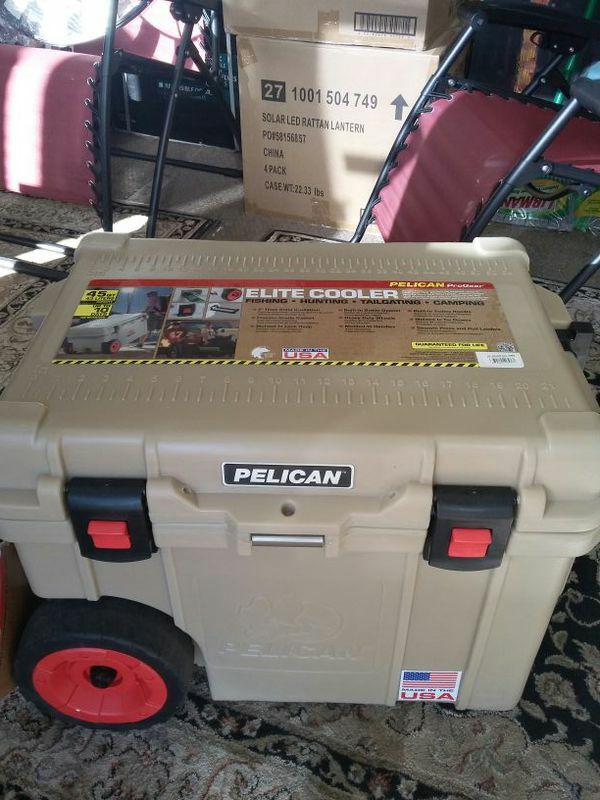 Elite cooler. 2 inch thick solid insulation. Up to 10 days ice retention. Very great for fishing,hunting, tailgating, or camping. Hello my friend, this is Big Bob from Salesumo as seen on TV located at 44 N. 45th Ave. in Phoenix, AZ 85043. (contact info hidden). Thanks you so much and I look forward to making you a customer!